Lila Jane Slayko, passed away quietly at her home in Canton on September 8, 2016, with her family by her side at the age of 79. Calling hours will be 1 -2 PM, Saturday, September 10, 2016, funeral service will be at 2:30 PM, Minister Paul Slayko (son) of the DeKalb Church of Christ officiating, burial to follow in Hermon Cemetery. She is survived by her sons, Edward and his wife Dawn Slayko of DeKalb, Paul and his wife Sandy Slayko of Hermon, Kevin and his wife Angelica Baker of Oklahoma City, Oklahoma, Eric and his wife Jessica Baker of Cisco, Texas, daughters, Karen Slayko of Syracuse, Carol and her husband Glenn Beck of Ranger, Texas, sisters, Rachel Miner and Esther Cleveland both of Hermon, 16 grandchildren, 15 great grandchildren, several nieces and nephews. She was predeceased by sons, Keith Baker, Douglas Slayko and a grandson, Ryan Slayko. Lila was born on May 13, 1937 in Pierrepont, the daughter of the late Edward and Mayfred Stone Fifield. She was a nurses’ aide at Western Manor in Ranger, Texas and an aide for many home health care agencies. 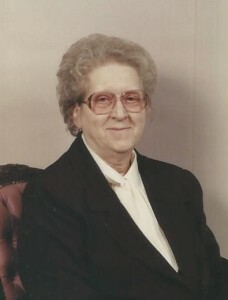 She was a member of the Pilgrim Holiness Church in Russell. Lila enjoyed playing cards, baking and flower gardening. In lieu of flowers contributions can be made to the Diabetes Foundation.